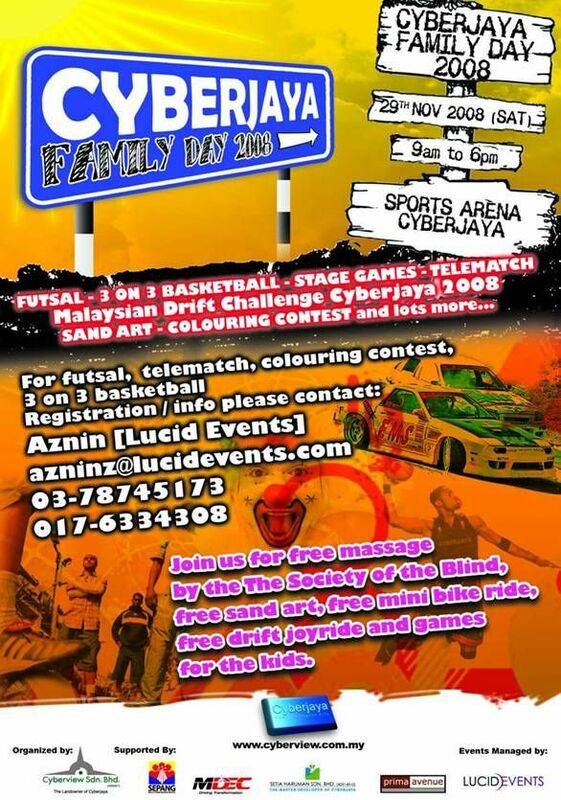 The Cyberjaya Family Day 2008 is one of the events listed in the Cyberjaya Community Events Calendar 2008. It is a a fun filled event with lots of exciting and free activities for the whole family. For enquiries, please contact Lucid Events at (03) 78745173 and ask for En. Aznin (mobile 017 - 6334308).